SETTING: In August, 1896, the Katipunan was prematurely discovered by the Spanish authorities. Bonifacio escaped capture and on the 26th of that month, at Balintawak on the outskirts of Manila, raised the cry of revolt [NOTE: The action commonly referred to as “The Cry of Balintawak” actually happened in Pugadlawin, "History of the Filipino People" by Agoncillo, 8th ed.]. Rizal, who had earlier refused to lead the revolt, volunteered for service in Cuba as an army surgeon, but was brought back when already on his way there to stand trial for his life on a charge of treason. While awaiting trial, he tried to stop the rebellion by writing a "Manifesto to Certain Filipinos." Fellow countrymen: Upon my return from Spain I learned that my name was being used as a rallying cry by some who had taken up arms. This information surprised and grieved me but thinking that the whole affair was finished, I refrained from commenting on something that could no longer be remedied. Now, rumors reach me that the disturbances have not ceased. It may be that persons continue to use my name in good or in bad faith; if so, wishing to put a stop to this abuse and to undeceive the gullible, I hasten to address these lines to you that the truth may be known. From the very beginning, when I first received information of what was being planned, I opposed it, I fought against it, and I made clear that it was absolutely impossible. This is the truth, and they are still alive who can bear witness to my words. I was convinced that the very idea was wholly absurd -- worse than absurd -- it was disastrous. I did more than this. When later on, in spite of my urgings, the uprising broke out, I came forward voluntarily to offer not only my services but my life and even my good name in order that they may use me in any manner they may think opportune to smother the rebellion. For I was convinced of the evils which that rebellion would bring in its train, and so I considered it a privilege if at whatever sacrifice I could ward off so much useless suffering. This is also of record. Fellow countrymen: I have given many proofs that I desire as much as the next man liberties for our country; I continue to desire them. But I laid down as a prerequisite the education of the people in order that by means of such instruction, and by hard work, they may acquire a personality of their own and so become worthy of such liberties. In my writings I have recommended study and the civic virtues, without which no redemption is possible. I have also written (and my words have been repeated by others) that reforms, if they are to bear fruit, must come from above, for reforms that come from below are upheavals both violent and transitory. 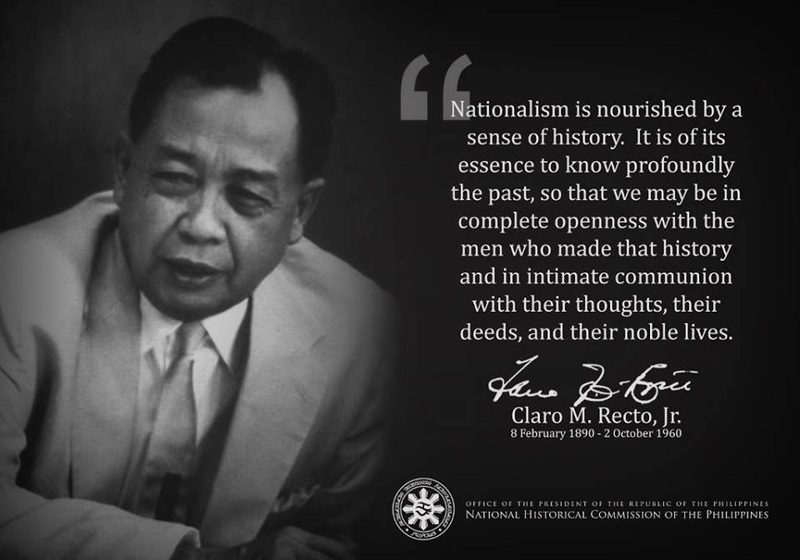 Thoroughly imbued with these ideas, I cannot do less than condemn, as I do condemn, this ridiculous and barbarous uprising, plotted behind my back, which both dishonors us Filipinos and discredits those who might have taken our part. I abominate the crimes for which it is responsible and I will have no part in it. With all my heart I am sorry for those who have rashly allowed themselves to be deceived. Let them, then, return to their homes, and may God pardon those who have acted in bad faith.